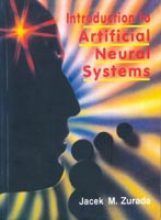 Artificial Neural Systems Or Neural Networks Are Physically Cellular Systems Which Can Acquire, Store And Utilize Experimental Knowledge. It Helps The Reader To Understand The Acquisition And Retrieval Of Experimental Knowledge In Densely Interconnected Networks Containing Cells Of Processing Elements And Interconnecting Links. The Book Also Addresses The Concepts Of Parallel Machines That Are Able To Acquire Knowledge And The Corresponding Issues Of Implementation.